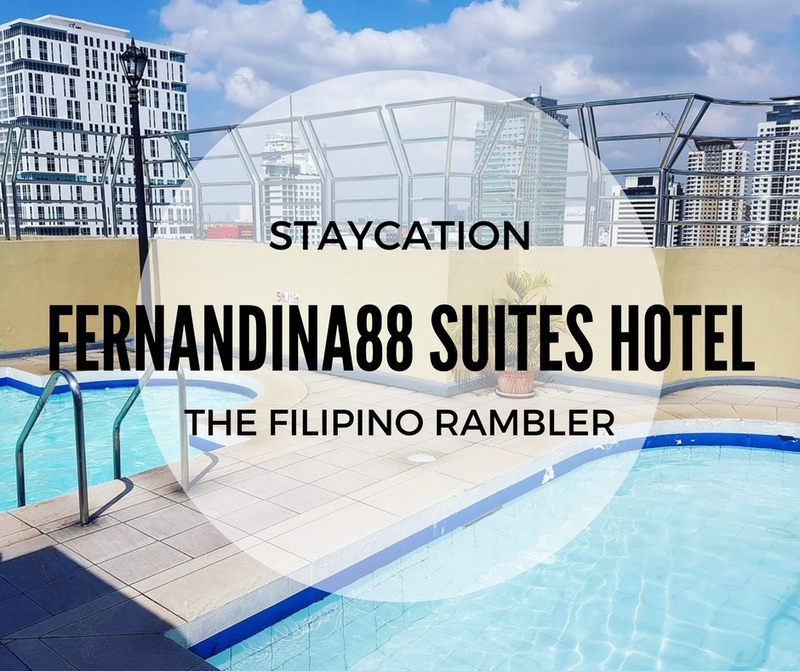 Fernandina88 Suites Hotel is located at the corner of Araneta Center, Cubao. 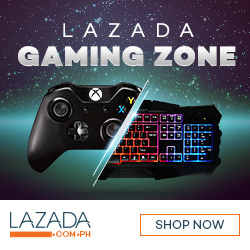 This is where I had my recent staycation along with my friends. 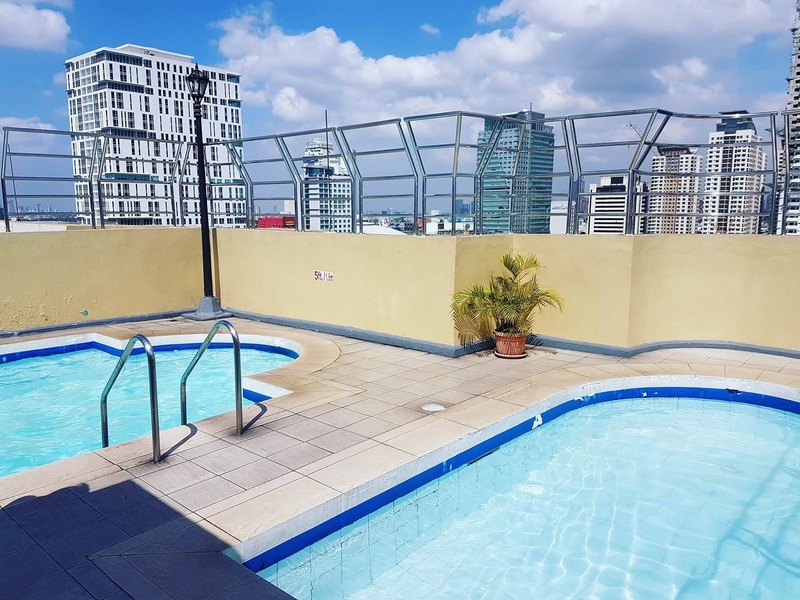 The most appealing thing about it is its location- one will not miss it because it is conveniently situated very near the MRT and LRT 2. 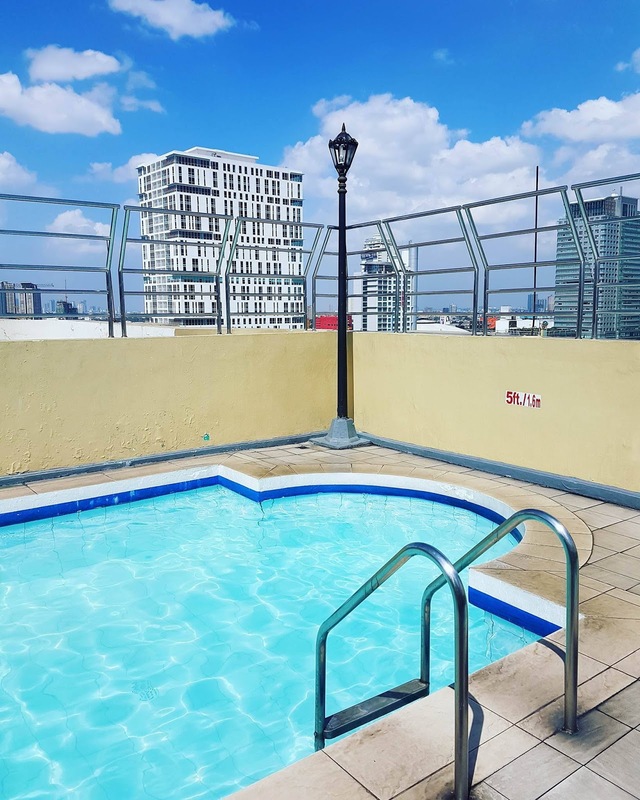 It is some minutes walk from Gateway, Ali Mall and Araneta Coliseum. Fernandina88 Suites doesn't have a grand lobby. The ground floor looked gloomy and needed an updating but the smiles from the staff brought light to the area. A staff accommodated us and led us to our room at the 9th floor. As soon as the door opened, we were surprised with how big it was! Our Two Bedroom Premier Suite Room has all the elements of a good accommodation. The two rooms are perfect for a slumber - both are well appointed. The bedrooms and the living room are air conditioned. The big master bedroom is equipped with its own cable LED TV and has its own private toilet and bath. The other room has two single beds and adjacent is the common T and B. I am impressed with how clean the room was. The sheets are dainty and white. The other room got two single beds. View of the Quezon City skyline from our room. The T and B comes with these toiletries. Our room also has a dining table- perfect for groups of friends or families who prefers to stay inside for lunch or dinner. It has an area for cooking - however the stove and cooking utensils aren't included in the rate. It can be rented though, you just have to call and request at the reception. Welcome drinks were given upon check in. Complimentary coffee, tea and water are a handy. Lovin' the coffee set package! Some snacks are available at the mini bar. And mind you, it isn't pricey as other hotels! The living area is spacious, perfect for those small parties. We had a drinking party that night and we had a blast! The big ottoman table at the center is a nice piece. It also has a writing desk but lacked a chair. Noticeable are the many electrical sockets- ideal for businessmen or bloggers like me who needs to plug all my gadgets and phone for juice. We were given free wi-fi access- and I was amazed with how fast I was able to upload a video I made in YouTube. Now that's major. The earth tones of the room was classic and cozy. The hotel has a restaurant at the 12th floor. My accommodation included a buffet breakfast for two. My other friends opted to try the pasta. Typical Pinoy breakfast like Tapsilog and Bangsilog are offered at a very affordable price. I liked the pancit. There were ham, sausages, breads and fruits too. I wish the fried rice was a little saltier- or maybe that's just my tongue. 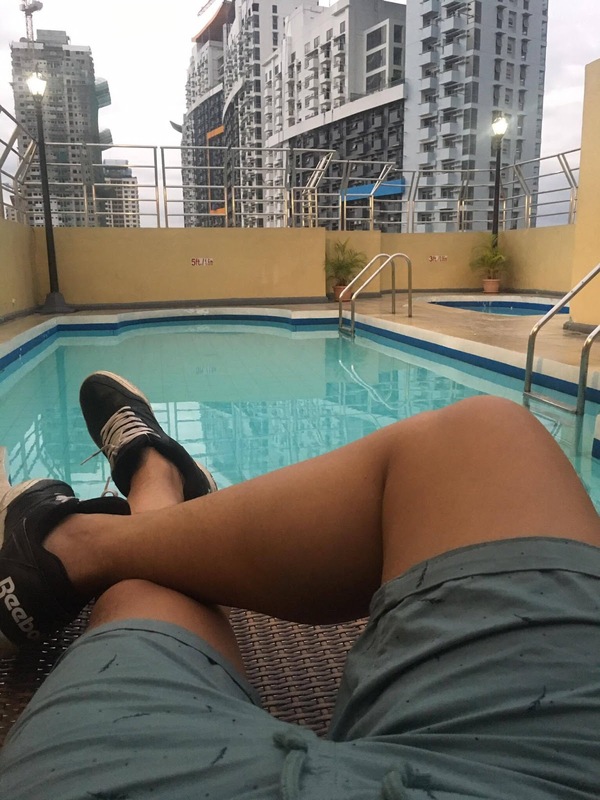 The hotel got a small pool at the roof deck. It is open from 7AM to 10PM. It has a kiddie pool (3 feet) and an adult pool (5 feet deep). We went there during the morning and had a refreshing dip. As per instruction, the pool area can only accommodate 5 persons at a time. And oh, the floor tiles can be slippery so be careful while walking. All rooms have living area, kitchen, dining area, complimentary buffet breakfast for two, stocked mini bar, 32in cable TV, hot and cold shower and wi-fi internet access. 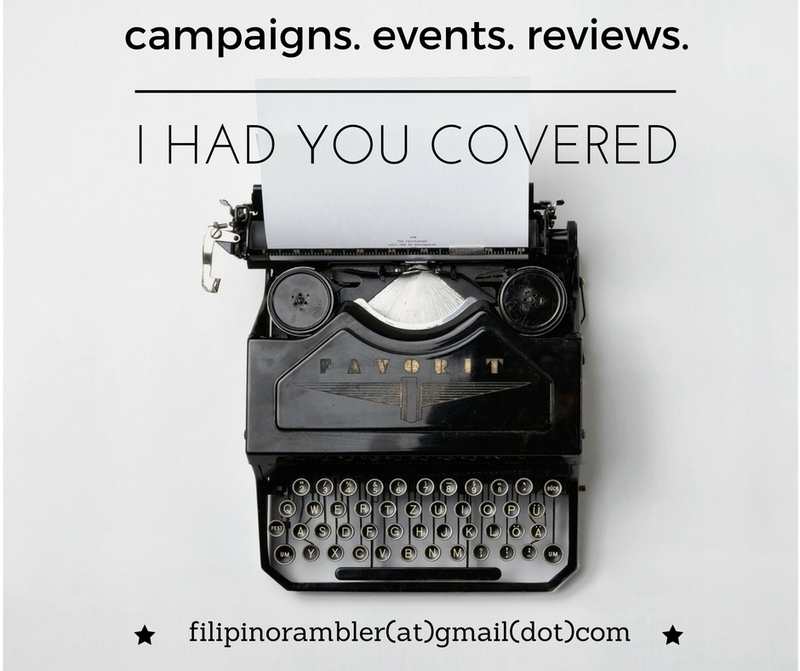 As I've mentioned earlier, the hotel is located very conveniently along the Araneta Center. If you're looking for a place to dine or wanting to go shopping or planning to hop by a movie before snoozing in your bed- a lot of malls and establishments are very near Fernandina 88! Get off at Araneta Center Cubao Station. Walk towards Ali Mall or have a 5 minute cab ride to the hotel. via EDSA: Drive towards North Avenue, turn right on P. Tuazon, drive straight for 5 minutes and the hotel is at the right side of the road. We had a perfect weekend at Fernandina88. If you're looking for a temporary escape from the hustle and bustle of the city, Fernandina 88 Suites Hotel provides a nice getaway. Convenient location, spacious room, nice pool- all the elements you will need for that amazing staycation. My friends and I had fun, and we would love to be back again.